Starting today April 29th at 3pm EST, Frito Lay will be giving away 24,000 bags of Frito Lay Chips. Go HERE to like them on Facebook and then sign up starting at 3pm. Hurry on over HERE to score a FREE Dove Ultimate Go Sleeveless Deodorant sample! JC Penney just released a hot coupon. Save $10 off any $25 purchase(before tax). Go HERE to print. This can be used on clearance and sale merchandise as well. Valid 4/25-4/30. Or use code CANTBEAT to shop online. Sign up for a coupon for a free 5-count package of Zyrtec. Just click on picture in top right ($7 value). Go HERE. Looking for a great Mother's Day gift? 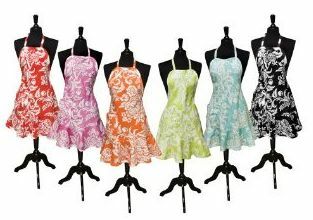 Target has cute and flirty aprons for $12.99 shipped. Add the apron to your cart to see the price. Go HERE. HURRY! 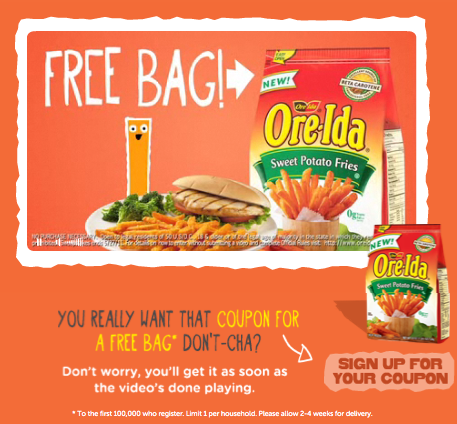 First 100,000 to sign up will receive a coupon for a free Ore Ida Sweet Potatoe Fries. Just go here and “Like” them on Facebook, then, click on the “Sweet Shout Out” tab on the right hand side, watch a short video and click on “Sign up for coupon”. Snapfish has a great deal if you need to get a bunch of pics printed-like I do:) Right now, get 365 photos shipped to you for $15. Thats only $.04 per print!! Use code SPRING365 at checkout! Rue La La: Last day to sign up! Just a reminder that today is the LAST day to sign up for the $20 RueLaLa credit. This is for new customers only and by invitation only. Sign up HERE. 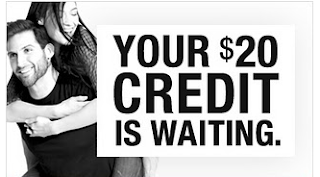 Please allow 48 hours for the $20 credit to be in your account. Have a little girl? Looks like the American Girl doll boutique opens at 11AM on Thursday. The $20 credit may make for free doll outfits. Today at RueLaLa.com get a leather smart phone case for just $2.85 shipped after your $20 credit. If you haven’t signed up yet, you’ll get a $20 credit to spend when you sign up through my referral link HERE. You’ll have until 5/25/11 to use your credit. You can expect ZERO coupon insert in Sunday's paper. 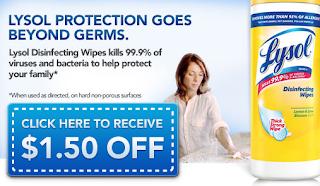 New coupon from Huggies was just released-save $3.00/1 ANY Huggies. Go HERE to print. Old Navy: One Day Wonder on Saturday April 22. 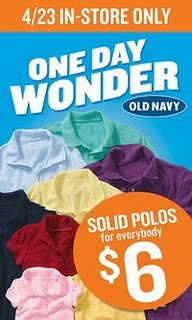 Polos for $6 for the whole family. 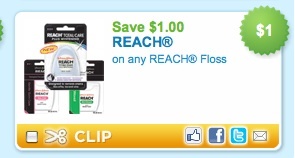 Coupons.com just released a high value $1/1 Reach coupon. Target and Walmart has floss for $.99 each, making it FREE. Go HERE to print. A few more good deals at Meijer this week. Greenworks Cleaners are 20% off this week. Also, purchase 2 products and receive $2 off INSTANTLY at the register. Use 2 $1/1 Peelie coupon on soap or coupon HERE. Buy (3) Splenda Products in a single transaction, get a $4 custom coupon valid on your next order. Splenda products are on sale 25% off this week at Meijer. Rite Aid has fabulous deals with week. Armed with coupons, 1 VV coupon and $2 in +Up rewards, I paid $2.17 for everything below(including tax). Received another $2 +Up reward for future purchase. Like Lysol on Facebook HERE and print out a $1.50/1 Lysol Wipes coupon. Hit your back button and you can print 2X. Wow, Kraft First Taste is really rolling out the offers this month! If you are Kraft First Taste member, log in HERE and request a coupon for ONE (1) FREE pack of any KRAFT Shredded Cheese with a Touch of PHILLY (up to $3.87). Go under my offers after logging in. Hurry, these will go fast! Also, you may have additional offers for Breakstone Cottage Cheese or Jello Temptations. Whooo hoo! Rue La La is again offering NEW members a $20 credit to their site. 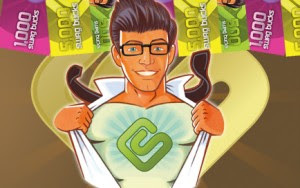 Simply sign up HERE and within 48 hours the credit will be in your account. This can be used towards anything online as well as shipping, making for free items. Sign up by April 25. The $20 credit is good until May 25, so check the site daily for great daily deals! RueLaLa offers name brand boutique items at 50-90% off! Hurry! Heinz ketchup has released a high value $2/1 coupon, which will make for free or very cheap ketchup. You can print 2X. Only 57,000 coupons will be released, so print now. Go HERE. Here is a great coupon if you are headed to Macy's this weekend. Take $10 off $25! Coupon can be used on sale and clearance items and is good on Saturday April 16 until 1pm. Go HERE to print. Limit one per customer. Do you have a Kraft First Taste account? If so, log in and you may have an offer for Breakstone’s 100 Calorie Cottage Cheese Snacks. Go under "my offers" HERE and then request your coupon for a free product. Hurry!!! These tend to go fast. 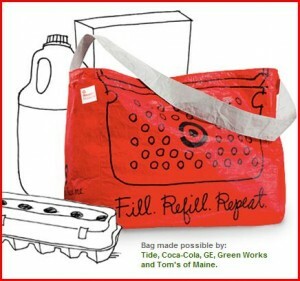 In honor of Earth Day, Target will be giving away reusable shopping bags (with purchase) on Sunday April 17. Limit 1 bag per guest. You can expect FOUR coupon insert in Sunday's paper. Two from Redplum and Smartsource. Inserts and coupons do vary by region. You can find a detailed list of coupons in the inserts HERE. The Redplum insert might have a high value $3/1 Nivea for Men Body Wash coupon. This coupon will make for free or very cheap body wash in the future. Print a coupon for $1/1 ANY Kashi Cereal HERE. There are no size restrictions, so you can use this on the single serve Kashi cereal bowls which are priced at $1 each at Target to get them free. 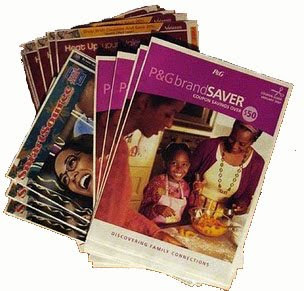 Learn and Earn program from Scholastic Free books! Scholastic and Kumon have partnered to encourage the development of reading and math skills and unlock your child's learning potential. 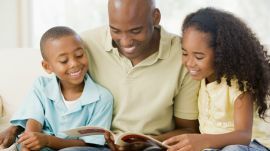 Your child can complete MATH and READING activities and earn up to five FREE BOOKS from Scholastic! All you need to do is go HERE and print out the worksheet pages. Have your child complete the pages and then mail in your book request. This is a great way to reinforce reading skills. 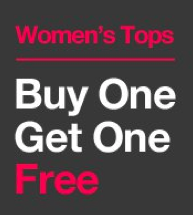 Today, (4/13th), through Tuesday (4/19)at 10 pm, go to any U.S. GAP store (not including Gap Kids, babyGap, Gap Body, Gap Outlet, Gap Factory Store, The Gap Generation, online, or select Gap1969 stores) and buy any one Women’s Top and get one FREE! Go HERE for more info. Ball Park just released a high value $1/1 coupon today for ANY BallPark product. 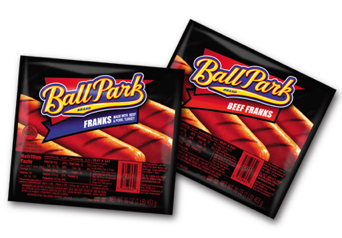 Meijer has BallPark franks on sale for $1.67 this week! Degree is giving away a sample of Degree MotionSense deodorant for woman today at 1pm EST. 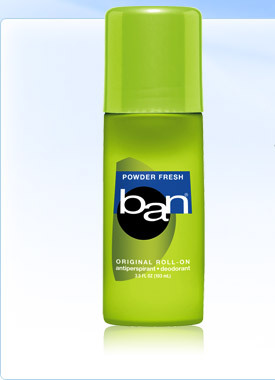 Request your free Degree MotionSense Deodorant sample HERE. They will be giving 6,600. Seattle’s Best Coffee is giving away 100,000 free coffee samples at 1 p.m. EST today on their Facebook Page HERE. Like them and then go to the 'declare your love' page. I don’t know about you, but coffee samples happen to be one of my favorite freebies so I’m especially excited about this one! 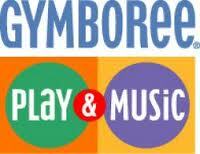 Gymboree is offering a free play and music class and $20 off enrollment. Go HERE to print your coupon. Gymboree offers some great classes for children ages 0-5 years old including play & learn, music, art, sports and school skills. 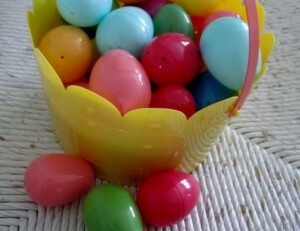 Looking for an Easter Egg Hunt? GRKids put together a long list of events to choose from. Go HERE. 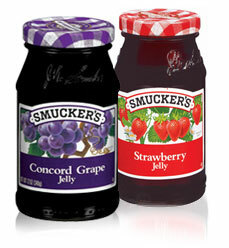 Smuckers just released a high value $.75/1 coupon for jelly or jam. This makes for a great deal on Smuckers this week at Meijer! Stop by Sam’s Club this weekend (April 15-17, 2011)for the Spring Taste of Sam's Open House and you can get in free even if you’re not a member. Best of all, there’s no upcharge. You’ll pay the same prices that members do. WZZM has a great segment called Super Saver. This past week they highlighted making your own cleaning supplies which costs a fraction of the price of traditional cleaning products. See the video below. Also, check out the short video on discount eyewear. Lots of good information! 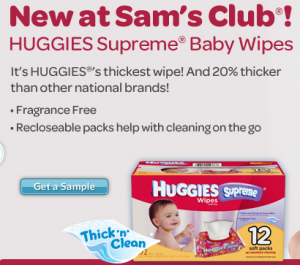 Sam's Club is offering a free sample of Huggies Baby Wipes. Go HERE and wait for the Huggies banner to show up. Once you see this image, you’ll be able to click on the “Get a Sample” link to request a FREE sample of Huggies Supreme baby wipes. You do NOT need to be a Sam’s Club member to request this freebie. Its been awhile since the Sunday Savings Series and thought it would be good to visit all the wonderful information America's Cheapest Family have to offer. Steve and Annette Economides have wonderful tips on cutting expenses. OR use the $2/2 coupon found in the April issue of All You mag.